John C. Reilly is game for Step Brothers 2, but will it ever actually happen? 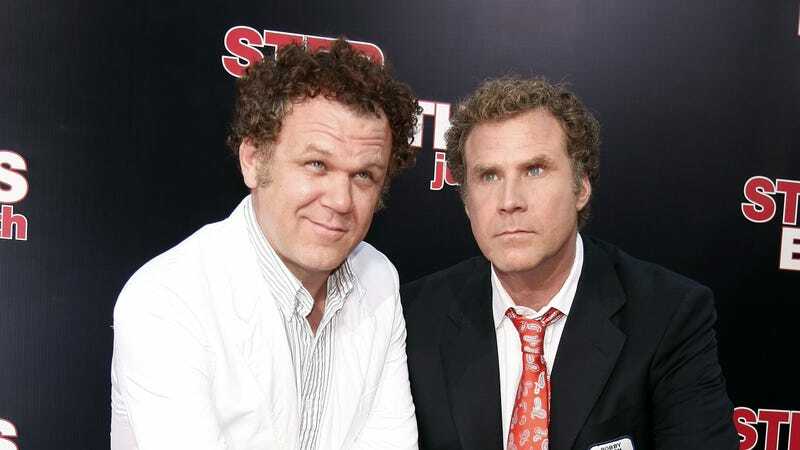 It’s been a decade since Will Ferrell’s Brennan Huff and John C. Reilly’s Dale Doback went from heated rivals to best buds in Step Brothers. Both actors have floated the idea of reuniting their step siblings for a sequel to Adam McKay’s 2008 comedy over the years, but all three have been busy with other projects; you know, just earning and burning, snapping necks and cashing checks. But now, Reilly has once again fueled the fires of Step Brothers 2 hype. Reilly is one of the few actors who’s surprisingly escaped the tentacles of the Hollywood sequel machine. That is, until now: He’s currently on the press circuit to promote his first sequel, Disney’s Wreck-It Ralph follow-up Ralph Breaks The Internet. While stopping by Good Morning America on Wednesday, the question we’ve all had for the past 10 years came up: is Step Brothers 2 ever happening? Maybe. “Yeah, [it’s] possible,” Reilly said. “It requires the cooperation of a few other people, but I would love to do another one of those.” That’s not the confirmation most of us want, but it’s a change from Reilly’s last update. The last time someone asked Reilly about the potential for another Step Brothers (full disclosure: it was this writer), he said a sequel wasn’t in the cards. There’s no doubt both Reilly and Ferrell are game to reprise their man-children, but it sounds like the delay is mainly because everyone’s been focused on other films. For one, McKay has been a little busy tackling the financial crisis with The Big Short and transforming Christian Bale’s bod for the millionth time in the upcoming Vice. My dudes, I get that we’re all busy, but stop making excuses. Is it that hard to set aside a couple months to put Ferrell’s already-killer sequel idea into motion? The scrapped premise would follow Brennan and Dale as they attempt to retire at their parents’ (Mary Steenburgen and Richard Jenkins) retirement community. How dare you sit on that gold. Give us the drunken senior citizen Catalina Wine Mixer we deserve.